New Era Cap Celebrates The City Of Charlotte With 2019 NBA All-Star Game Collection | RESPECT. This year’s New Era NBA Authentics: All-Star Series features unique designs with a mix of silhouettes including 59FIFTYÒ, 9FIFTYÒ and 9TWENTYÒ. Each cap features a unique design utilizing the Charlotte Hornets’ color palate, teal, white and purple as well as the honeycomb pattern displayed on the Hornets’ court. New Era NBA Authentics: NBA All-Star Tie Dye – Adding an element of style to the collection, this teal, white and purple tie dye graphic print cap features the primary Charlotte NBA All-Star 2019 logo embroidered on the crown. Available in a 9FIFTYÒ, the cap also comes in a black and white colorway with a 59FIFTYÒ version available exclusively on neweracap.com. New Era NBA Authentics: NBA All-Star Pri Star: Available in a 9FIFTYÒ and 9TWENTYÒ, this cap features the Charlotte NBA All-Star logo man on the crown and an oversized NBA All-Star 2019 wordmark embroidered on the side. This cap is available in a black and white colorway with a 59FIFTYÒ version available exclusively on neweracap.com. 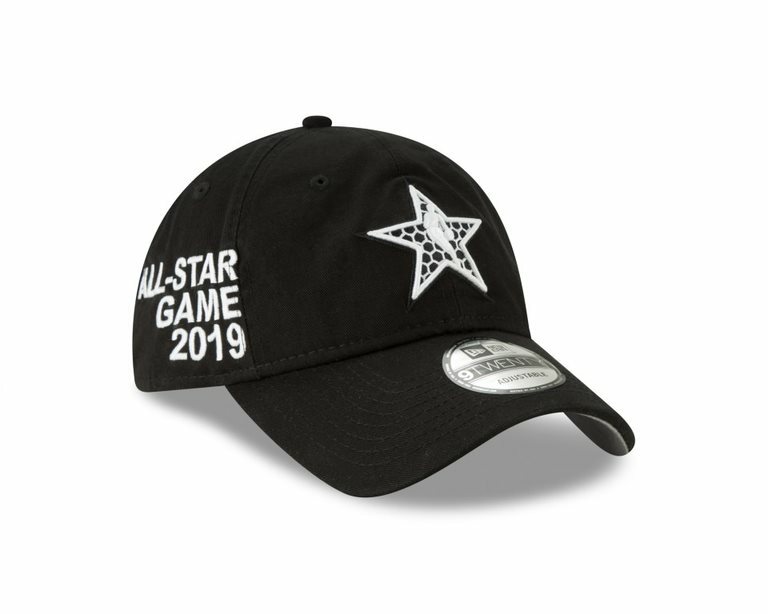 New Era NBA Authentics: NBA All-Star Oversized Star: Show your excitement for the 2019 NBA All-Star Game with this 9FIFTYÒ cap featuring an embroidered oversized Charlotte NBA All-Star logo man on the crown and a second NBA All-Star logo man on the rear. Additionally, this cap has a honeycomb pattern on the visor and snapback enclosure. A 59FIFTYÒ version is available exclusively on neweracap.com. New Era NBA Authentics: NBA All-Star Suede: Available in a 9FIFTYÒ and 9TWENTYÒ, this stylish black monochromatic cap combines faux suede with a Charlotte 2019 tonal wordmark embroidered on the crown. The New Era NBA Authentics: NBA All-Star Series is available at www.neweracap.com as well as select headwear retailers with retail prices of $28-$38 USD.